Colonel Charles T. Muse, Sr. is the commander of the 1st Civil Support Brigade of the S.C. State Guard (SCSG). COL Muse was commissioned a Colonel in the SCSG June 6, 2015 and was assigned to the 3rd Brigade as its commander on January 2, 2016. He was appointed as the first Commander of the newly formed 1st Civil Support Brigade September 1, 2018. Colonel Muse is a native of Hamlet, North Carolina. He graduate from Coastal Carolina Community College with honors with a degree in accounting and was inducted into Phi Theta Kappa. He received his undergraduate degree in Business Administration from Catawba College in Salisbury, North Carolina. He received his MBA degree from East Tennessee State University and his doctorate in Adult and Community College Education with a minor in Public Administration from North Carolina State University in Raleigh, North Carolina. Additionally, he successfully completed both the Institute for Management of Lifelong Education at Harvard University and The League for Innovation in the Community College Executive Leadership Institute. Colonel Muse currently teaches business management and leadership courses as an online adjunct professor and a Competency Based Education Specialist in the area of Supply Management Relationships for Brandman University in Irvine, CA. He previously served as the Executive Director of the National Robotics Center though a multi-year contract with the Joint Ground Robotics Enterprise in the Office of the Secretary of Defense. COL Muse for twenty years was the Vice President for Academic Affairs at Florence-Darlington Technical College and held several other leadership positions in higher education to include the Director of College Relations at Georgia Southwestern State University (GSW) obtaining the rank of Associate Professor of Education, and was the Assistant Dean for the Division of Continuing Education at the University of Nevada-Reno. He has held several teaching positions to include Richmond Community College, Coastal Carolina Community College, East Carolina University, University of Nevada-Reno, Georgia Southwestern State University, and Brandman University. As an international educator, COL Muse has traveled extensively in Europe and developed student and faculty exchange programs in Japan, Taiwan, England, France, Spain and Germany and was a Fulbright Scholar in the German Administrator program. COL Muse was honored this year by Brandman University with a Teaching Excellence Award. He was ranked in the top 20% of the 134 professors at Brandman University for excelling in the most significant areas reviewed by the administration and received the highest assessment based upon students’ assessments scoring well above expectations. He has written numerous articles, authored and co-authored four textbooks, and has made presentations at state, regional, national, and international conferences and workshops. His latest publication is a Pearson Publication, “Roadways to Success” a college skills textbook for the college first year experience. Being very active in the business world, he started his first business in Jacksonville, NC, the SCUBA Shop, and a full service SCUBA diving business and is a PADI certified Diver and Advance Diver. He is a licensed real estate broker in both North and South Carolina, established the Sierra Nevada Publishing Company in Reno, Nevada, and has been an accounting and business management consultant specializing in time management, organizational skills, goal setting, and organizational leadership and development skills. COL Charles T. Muse, Sr. joined the Marine Corps on March 27, 1969 under the Office Candidate School program. After commissioning and The Basic School, he attended Recon Replacement Training and Naval Gunfire School. 1st LT Muse served as a weapons platoon commander, a company executive officer and Company Commander of “B” Company, 1st Battalion, 7th Marines during the period September 1970 through February 1972. From February 1972 to February 1973, he served as the Executive Officer and Company Commander of “I” Company Battalion Landing Team 3RD Battalion, 4th Marines. Upon his return to the United States and completion of active duty in March 1973, 1st LT Muse joined Supply Company, Raleigh, NC. During his tour with Supply Company, he attended Reserve Supply Officer Course and served as the supply OIC for several major exercises. He was promoted to the rank of Captain August 1, 1974. Completing his tour of duty with Supply Company in August of 1977, CPT Muse was appointed the Officer-In-Charge of Det. H&MS-49 at Cherry Point, NC and served as the OIC until May 1980. Moving to Reno, NV in June of 1980 CPT Muse joined HQ Company, 23rd Marine Regiment and served as the Regimental Supply Officer until transferring to Marine Air Group-42 in October 1981. CPT Muse was promoted to the rank of Major July 1, 1980. As the Group Supply Officer for MAG-42, Major Muse served as the ACE S-4 for CAX 9-82 and as the Group Supply Officer for a consolidated Marine Air Group exercise in 1983 at Yuma, AR. In September of 1983, Major Muse moved to Americus, GA and was appointed the Officer-In-Charge of the newly formed reserve unit, 1st Platoon, Supply Company, 4th Supply BN in Albany, GA. During his two and one half-year tour as the OIC, 1st Platoon, Supply Company grew to unit strength of 3 officers and 135 enlisted personnel. Completing his tour as OIC in February of 1986, MAJ Muse transferred to HQ, 4th Force Service Support Group, and Atlanta, GA. MAJ Muse was promoted to the rank of LTC. September 1, 1986. With the 4th FSSG, LTC Muse served as the S-4 of CSSD-48, MCCRES Exercise 1986; as the 4th Supply BN liaison officer; as the XO CSSD-42, MCCRES Exercise 1987; as the APOIC CSSD-43, CAX 7-88; as the Asst. G-5, Logistics Evaluator for several exercises; and as the Commander Officer of MSSG 45, CAX 8-89. In August of 1989, LTC Muse was appointed as the OIC of the SMU, 4th Supply BN in Raleigh, NC and moved to Florence, SC. With the completion of his tour in Raleigh, LTC Muse was appointed as the Senior Advisor to the Non-Resident Program at Command and Staff College, Marine Corps University. LTC Muse was promoted to his current rank of Colonel March 1, 1992. During his tour with Command and Staff College, COL Muse and his IMA Det. created the current Iranian scenario for the CAPSTONE exercise and served for five years as the CO of Opposing Forces for this exercise. With the completion of this tour with Command and Staff College, COL Muse was appointed as the Area Commander for the Marine Corps Engineer School at Camp Lejeune, NC in 1995. In 1980, COL Muse volunteered for a newly created Education Contact Team program. This new program evolved through the years and has become the Recruiting Support Officer program (RSO). In addition, to the United States Marine Corps Reserve billets mentioned above, COL Muse was a charter member of the RSO program and has served as the RSO for RS Sacramento, the RSO for RS Macon, the RSO for RS Atlanta, the 6th Marine Corps District RSO, and the Assistant Chief of Staff for Recruiting Support for the Eastern Recruiting Region, Parris Island, SC. COL Muse assumed the position of Assistant Chief of Staff for Recruiting Support for the Marine Corps Recruiting Command in February of 1998 and held this assignment until his retirement April 1, 2000. During his tour in the Marine Corps, COL Muse also completed Amphibious Warfare School, Command and Staff College, the National Defense University’s National Security Course, Combat Service Support School, Political Warfare/Anti-Terrorism School, and Landing Force Staff Planning. Additionally, COL served for 17 years served as a “Blue and Gold” Officer for the U.S. Naval Academy interviewing and recruiting high school students for the Academy. COL Muse’s decorations included the Legion of Merit, the Meritorious Service Medal, the Navy and Marine Corps Commendation Medal, the Navy Unit Commendation with Star, the Meritorious Unit Commendation with four Stars, the Marine Corps Reserve Ribbon with four stars, the National Defense Medal with star, the Vietnam Service Medal with star, the Military Outstanding Volunteer Service Medal, and Armed Forces Reserve Medal. 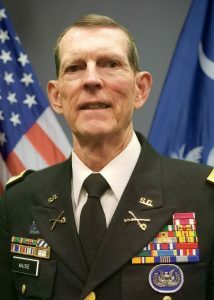 His South Carolina State Guard awards include two Individual Achievement Ribbons and three Humanitarian Service Ribbons. COL Muse believes in community service and has served as President of the Florence Family YMCA, the Florence International Festival, the Darlington Rotary Club, the Catawba College National Alumni Association and School of Business Advisory Board. He has also served Catawba as Chair of the Board of Visitors and Member of the Board of Trustees Academic Quality Committee. He has served on the Boy Scouts of America Board, the YMCA board and has chaired the Board of the Florence Seventh-day Adventist School. He currently serves as the Past Chair of the Board Visitors at Catawba College and as an Elder for the Florence First Seventh-day Adventist Church. COL Muse’s community involvement awards include; Jacksonville Jaycees Jaycee of the Year, Reno Jaycees Distinguished Service Award, JC International, JCI Senator, Americus Kiwanis Club Outstanding Kiwanian, Leadership South Carolina; National Award, International Festival YMCA of the USA, Distinguished Leadership YMCA of the USA, Volunteer of the Year Florence Family YMCA, Order of the Red Triangle Florence Family YMCA, Catawba College Distinguished Alumnus Award, Rotary International Distinguished President, Silver Beaver Boy Scouts of America and Vigil Honor, Boy Scouts of America. COL Muse lives with his wife the former Susan Maria Hutchins in Florence, SC and they have three adult sons; Thomas serves in the U.S. Army as an Army Aviator and completed the Army Intelligence School in 2018. He previously served in the SCSG as a 2nd LT, Matthew is currently working in the TV and movie industry after his appearance on American Idol 2012, and Alex works with Homeland Security and is a CID Agent in the Army Reserve. The family does a mission trip each year and will travel this year to several islands in the Caribbean.